Sen. Kamala Harris (D-CA) is running for president and wasting no time trying to capture the title of ‘most left wing’ of the crop. She’s gunning to be the progressive candidate, pushing an agenda that would take California’s liberal antics to the federal level and pretty much guarantee that the nation endures economic death. In fact, most of the Left’s economic policies are trash. Just look at the New Green Deal. It’s a wrecking ball of socialism, pegged with unrealistic policy aims, like killing all cows and upgrading all buildings to be more energy efficient, high taxes, and ruinously expensive costs. As with most ideas from the progressive Left, it’s light on details. They’re pushing Medicare for All, which carries a $30+ trillion price tag in the first decade alone. I can’t imagine the price tag for a policy that aims to shift us away from all fossil fuels…within a decade. There’s a reason why these folks don’t name prices or tax rate projections. They know it’s so astronomically high that it’s electoral poison. You don’t need to be an economics graduate to know what the Democrats are planning is exceedingly expensive. Not only that, they noted, draining the prisons of“minimum custody inmates” would deplete the labor force both internally and in local communities where low-level, non-violent offenders worked for pennies on the dollar collecting trash and tend to city parks. A federal three-judge panel ordered both sides to confer about the plaintiffs’ demands and the state agreed to extend the 2-for-1 credits to all eligible minimum security prisoners. Freshman Sen. Kamala Harris (D-Calif.) has recently become the subject of much speculation about a potential 2020 presidential run. 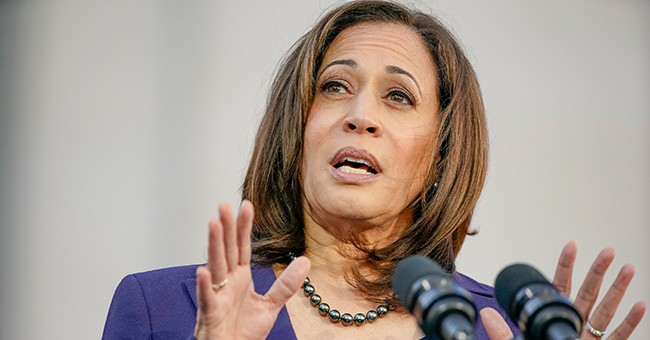 Several major news outlets have run feature-length profiles of Harris, and top Democratic donors are starting to coalesce around her as their preferred candidate to take on President Donald Trump. But not everyone on the progressive left is feeling Harris-fever, and if the senator wants to win the Democratic presidential primary in three years, she’ll have to start making inroads with a growing grassroots movement that remains highly skeptical of Harris’s progressive bona fides. Konst’s skepticism about Harris’s alleged ties to Wall Street and insufficient commitment to populist economic issues reflect a broader trend among the residents of Bernieland. Supported ICE arrests, not populist enough like Bernie, and kept inmates in jail to keep the cheap labor pool well maintained. The baggage is piling on and we’re a long ways away until the debates begin.